Apple have just published record profits for 2011, even in the face of naysayers who reckon that Android is finally catching up and Amazons Kindle Fire is picking off iPad sales by the day, especially in the run up to Christmas. But all that now looks like hokum as Apple have told the world that they are now indeed the most profitable corporation on the face of the globe and sell more units than HP. 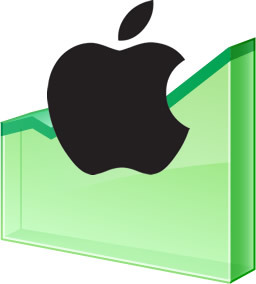 With Apples revenues and profits both being double what Microsoft could boast, and Apple increasing their iPad sale predictions by around 2 million in that last quarter of 2011 it can be clear as day that Apple are doing something very right indeed. And what makes them continue to grow even after so much competition from Android devices and the likes of cut price tablets? And while some say that Apple are not innovative I would argue that to be utter tosh, and what is more, where Android tablets have a few hundred natively built applications, Apples iPad iOS has around 170,000, and with tools and apps like the Akai MPC Fly coming out, is there any reason to ever save a few pennies and go for an Android tablet, I personally would not be in the market for a high end Android tablet over an iPad 2 if I had to choose one over the other right now. Let us not forget that Apple continue to raise the bar of expected customer service as they open more and more stores for those taking the plunge and buying their first ever Apple product or iPad and trust me this matters, like it or not (and sickly it can be) Apple make a mockery of the likes of Currys or PC world when compared on customer service, and people like to feel special at the end of the day. Now I hope they do not do what Google has done and keep pushing out nonsense after nonsense and then cull things later, I hope that they stay focused on the areas that the layman loves Apple for, useabilty and style. Subjective I know, but it is what most Apple converts say as the main selling points, and these appear to be growing. Well done Apple now stay focused and don’t turn to pith, in your dizzying heights of success, they all fall eventually in tech land!